Marketing data is critical for businesses, and your company can benefit from data analysis in a number of different ways. Digital marketers need a data warehouse to perform the complex analytics involved in a sophisticated data-based marketing program. The difference between a data warehouse and a database is commonly misunderstood. Whereas a database is simply a traditional data storage method, a data warehouse is a type of database specifically designed for analysis with everything stored in one place from multiple outside databases. 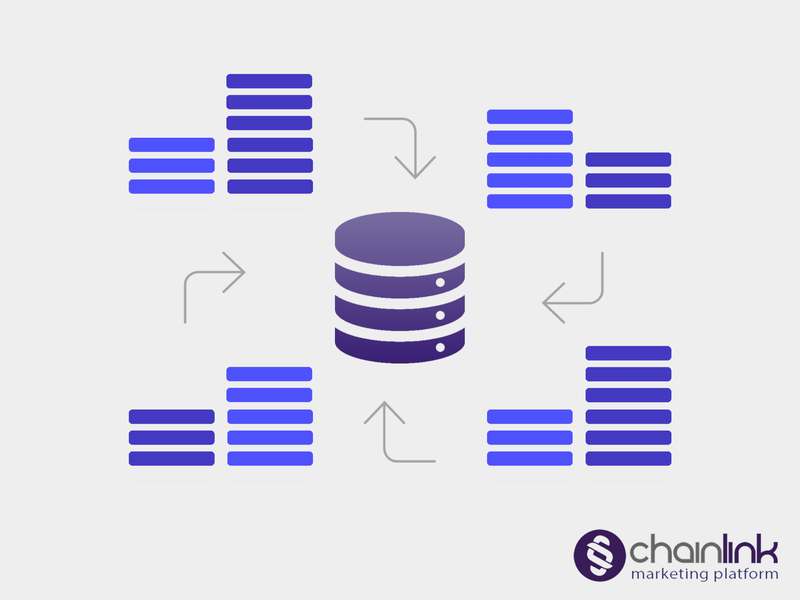 A marketing data warehouse serves as a centralized storage space for all of your customer databases, and aggregates information from multiple, disparate sources. This empowers you to carry out the advanced analytics that will help you make informed decisions and have a lasting impact on your marketing programs’ success and efficiency. The Chainlink Marketing Platform was built on the framework a centralized data warehouse for these exact reasons. Read on for the 7 biggest benefits we’ve found for using a data warehouse to optimize the effectiveness of your marketing initiatives. In the competitive, fast-paced world of digital marketing, the ability to quickly make educated decisions on key programs and initiatives is necessary to outperform your competition. With a data warehouse, you can access the data you need at any given moment in just seconds. You and your marketing team won’t have to panic when a deadline is approaching and you need to retrieve data from multiple sources in a matter of minutes. Also, having a data warehouse saves time in the sense that your company won’t have to wait around for the IT department to troubleshoot issues accessing data. You can train your entire department to be comfortable with your marketing data warehouse and employees of all levels can learn to query data themselves (which ultimately saves time and money). Data quality assurance helps ensure your marketing strategies are based on accurate information about your marketing efforts. A data warehouse converts data from multiple sources into a common format to help verify the consistency and quality of your customer data for marketing purposes. This allows you to catch and dedupe duplicate information, poorly kept records, and incomplete data. Quality assurance programs can be expensive and extremely time consuming. Using a data warehouse can remove a number of these hassles and the financial savings alone can justify the investment. Not only is poor quality data a liability for your company, but also it will decrease the overall effectiveness of your programs. A data warehouse empowers digital marketers to collect, integrate, and leverage customer data from every source throughout their cross-channel marketing activities. With the ability to seamlessly organize data from disparate sources, your company’s business intelligence will significantly improve. Your marketing department can use a data warehouse to have a unified view of all customer information in a way that cross referencing multiple databases can be hard, time-prohibitive, or sometimes impossible. A marketing data warehouse can track and know which of your targets and leads are active and have profiles across major social media channels like Instagram, Twitter, Facebook and LinkedIn. If you have a campaign targeting women in their thirties who work in the fashion industry, you can pull up a comprehensive summary of each target that matches those criteria. Instead of cross-referencing spreadsheets and databases, a data warehouse has all the key info right in front of you. Your overall marketing returns can increase when you use a data warehouse to harness the value and intelligence embedded within multiple databases. The more your marketing department makes use of the data stored and organized in the warehouse, the more you are getting out of your initial investment. As marketers, you can prove the ROI resulting from the advanced marketing software and data warehouse you’re using, empowering digital marketers to explain, quantify, and justify the effectiveness of data warehouses to company CEOs using ROI formulas. When senior managers and chief executives have the numbers in front of them, they will undoubtedly support investment in a marketing data warehouse. The huge amount of historical data that a data warehouse can store and easily analyze different time periods and trends can be a game changer for digital marketers. With this information at your fingertips, you can make better business decisions in the future regarding your marketing strategy. Forecasting the outcomes of marketing efforts is a key part of being an effective marketer. It’s difficult to predict the future if you don’t have a concrete understanding of your past successes and failures. Let’s say you’re a hiking clothing/gear brand and you want to launch a marketing program for a new line of hiking boots. By accessing your marketing warehouse and analyzing past metrics for older marketing programs for hiking shoes you’ve sold to determine what marketing strategy produced the best results, and how you might mirror that in future campaigns. Detailed historical data like this typically can’t be stored in an ordinary database or used to generate reports from a transactional database system. This puts you at an advantage in your decision-making because of using a data warehouse. Protecting your customers’ and targets’ information should be a number one priority, and taking the necessary measures to avoid data breaches will save you major headaches later. Having all of your databases centralized and properly secured within one data warehouse can greatly reduce the risk of a breach. Be sure to invest in a marketing data warehouse that takes cybersecurity seriously and has security features built into its infrastructure. Robust customer data are a huge marketing treasure and resource, but the minute that security becomes an issue, data become your company’s biggest liability. Just look at the big corporate breaches of late and how they’ve deeply impacted organizations’ reputations, and in many cases, corporate viability, such as Equifax. When you use a data warehouse that is embedded within the architecture of a marketing automation platform, the possibilities for maximizing your efficiency of digital marketing expand exponentially. A data warehouse can be the engine that powers your digital marketing automation processes, such as your email marketing and social media marketing efforts. Our proprietary Chainlink Data Warehouse, drives everything in our Chainlink Marketing Platform by recording and reconciling all of your customer databases, and aggregating information from multiple, disparate sources. Your customer, lead, prospect, and client data can come from a multitude of sources, including your CRM, e-commerce platform, or POS (Point-of-Sale). The Chainlink Data Warehouse seamlessly integrates and organizes these data from all of your sources so you can have a unified view of your organization’s customer information. As a digital marketer, you deserve to reap the benefits of using a data warehouse. Advanced marketing programs require sophisticated analysis capabilities, and a marketing data warehouse like the Chainlink Data Warehouse can serve your needs.